How does the Earth orbit? Comparatively, how far is each planet from the Sun? Can you make a model of the Solar System and eat it too? Help your primary and secondary students probe the mysteries of our Solar System with these inquiry-based learning activities. Our Solar System: What else is out there? This classroom activity is designed for Upper Primary - Secondary students. Students will be able to describe and explain one or more celestial bodies (other than planets) within our Solar System. There are many other celestial bodies within our solar system that are just as important. Ask students if they know what any of these are. Record their ideas. What object have you chosen? How is this object defined (i.e. what is it)? Where can you find these objects in our Solar System? How is the object formed? What elements or substances are they composed of? What do they do or how do they move? What is special or interesting about your chosen body? Presenting and recording a fictional news report about the chosen body. Our solar system is fantastically bizarre. There are worlds with features we never imagined. Storms larger than planets, moons with under-surface oceans, lakes of methane, worldlets that swap places...and that's just at Saturn. This Classroom activity is designed for Low - Middle Primary students. 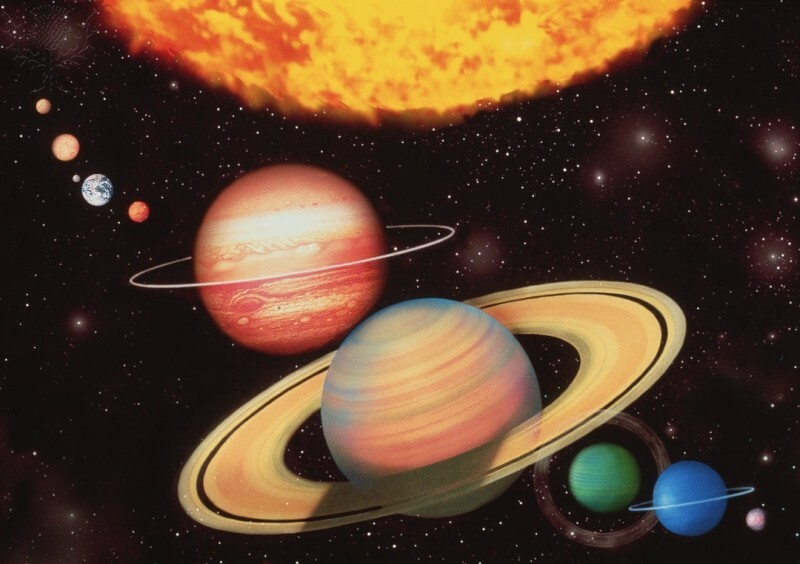 Make a model of the solar system to identify planets by size, shape, colour, features, and position in the solar system. Create a sun with 15cm diameter on yellow paper. Label and cut out. Write names of planets on cardboard strips. Discuss with the class what solar means and where the sun will be positioned on the model. In small group’s students put sun on one end of clothesline. Discuss that the sun is a star. Create a solar system made from foods. Sun - Giant pumpkin or giant orange garbage bag stuffed with newspaper. Contact your library staff to see if your institution already has access to Britannica LaunchPacks or claim your free trial here. Get full access to over 1700 STEM-aligned, ready-to-use learning packs with a subscription to Britannica LaunchPacks. Browse the full collection, contact us for a quick demo or get started free.